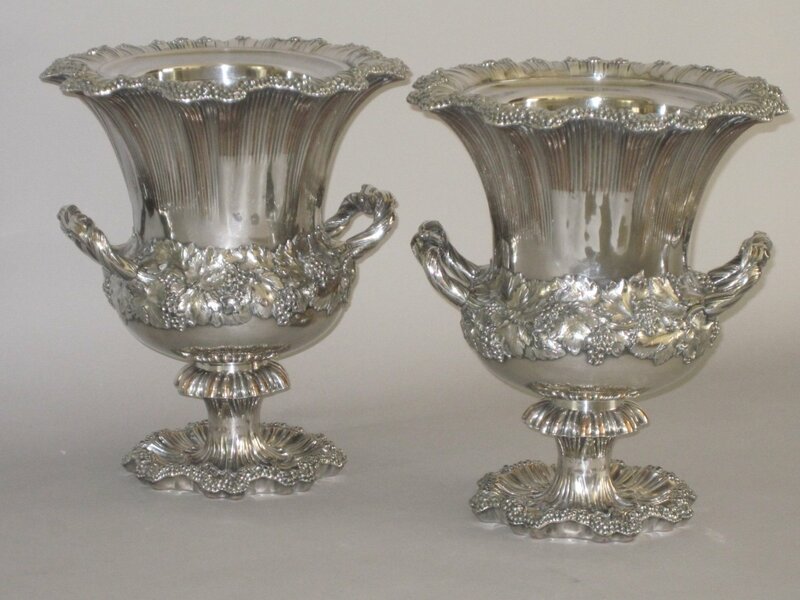 A FINE PAIR OF OLD SHEFFIELD PLATE SILVER WINE COOLERS. WILLIAM IV, CIRCA 1835. BY WATERHOUSE & CO. SHEFFIELD. Superbly crafted and highly ornate with grape & vine decoration, twisted vine stem handles and retaining original collars & liners.